1. Tell us about the book you want to promote. What inspired you to write it? I currently have two novella collections for sale. 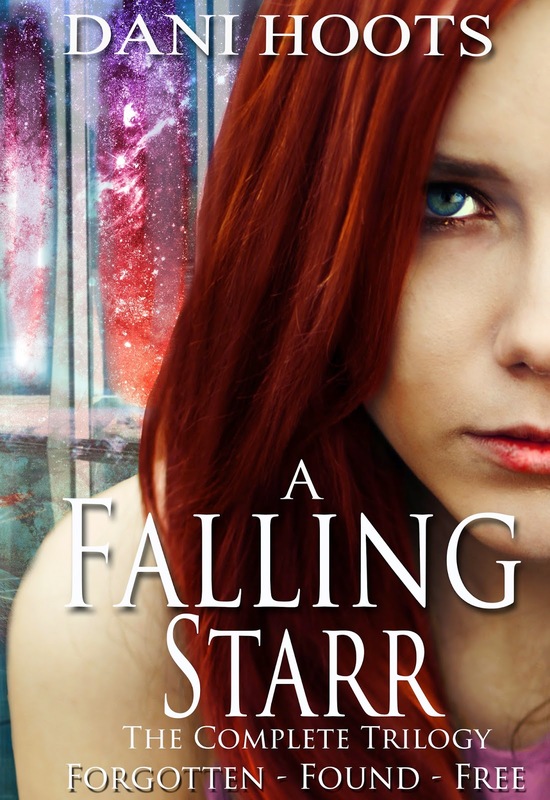 The first is A Falling Starr Trilogy that follows a girl who has no memory of her past. A year goes by and she is suddenly chased by some men and is taken to another planet by a guy she just met. He tells her that this is where she is from and she tries to solve who exactly she was on this planet, why there are people after her, and why she can’t remember any of it. The individual novellas are available as ebooks and the collection is available in paperback. My inspiration for this series was actually two songs: “A Spaceman Came Travelling” by Chris de Burgh and the music video “Take On Me” by a-Ha. Something about these two songs triggered this story in my head when I was in high school and my dream of being taken away by a space traveler to the stars. The second novella collection, A World of Vampires, follows different vampire myths and legends from around the world. In the first paperback collection, I talk about the Wyandot Native American tribe’s Hooh-Strah-Dooh, the Scottish Baobhan Sith, the Romanian Strigoi, and the Chinese Jiangshi. Each takes place in a different point in history and in a different area on Earth. It’s a bit of different take on vampires, having done research in different myths and legends instead of making another modern version. Each novella is available as an ebook and the first four are available as a paperback. There will be a total of twelve in the series. 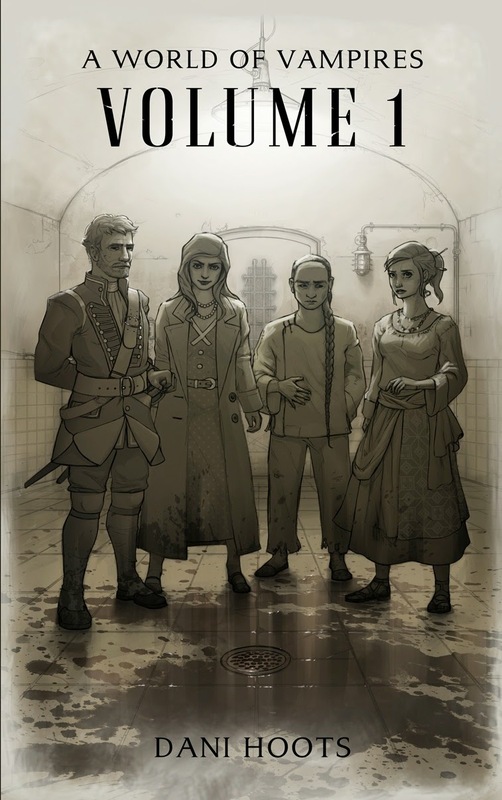 The fifth will be out in late February. My inspiration for these stories is just the fact that there aren’t too many historical takes on vampires, but mostly modern recreations. 2. How much of the books are pure fiction and how much are rooted in real events, or even autobiographical? For A Falling Starr, the book is mainly fiction, other than almost all that is in Portland are real places (the only place that is not is the crepe place at the Saturday Market). But none of the things that happen are real since it is science fiction. As for A World of Vampires, the characters themselves are not real, but the historical aspects are. For example, in “Hooh-Strah-Dooh,” it takes place during 1930s Boston and one of the main characters is part of the Irish mob. He isn’t real, but the things that happen during that time are and some of his friends are real Irish mobsters, such as the Wallace brother of the Gustin Gang. 3. Which of your character(s) do you identify with the most? Good questions! A lot of my friends say that I am exactly like Angela Starr in A Falling Starr, but I tend to disagree. I think she is a lot nicer than me. For each character, there can be little aspects of me that I add, just so I identify with them better, but not really exactly me. 4. Why did you become a writer? Because I love stories! I love researching things and learning more about the world. I also love to help distract people from their everyday lives and worries. Traveling around to conventions and meeting people is a big plus as well! 5. What’s your writing routine like? I try to write as much as possible. If I’m not writing, I am definitely thinking about a story in my head and figuring out all the details. I like writing anywhere, but I do love my nerd study, although it’s a mess right now and needs to be cleaned. I usually type everything out now instead of hand writing, but if I am working at a convention, then I will bring a notebook to write in. I listen to music that has the same tone of my story I am writing, but my favorites to listen to are Rammstein, Oomph!, Schoolyard Heroes, SJ Tucker and Memphis May Fire. 6. Do you stick to just one genre, or do you write in multiple genres? Why? I am beginning to write in a lot of different genres, actually. I write science fiction, fantasy (urban, historical, etc), romance, young adult, horror and historical fiction. I love expanding what I write and going beyond my comfort zone and just see what’s out there for me to enjoy. The romance series I am working on now is called My Broken Heart series. The first novella Hanami will be out in late March. I also have a horror novella called Gretyl that is free for download on my website. 7. What’s your favorite medium—novels, short stories, flash fic, etc.? Why? I like novels and novellas just because they have a little more substance in the way of characterization, but that doesn’t mean flash fiction and short stories don’t have awesome characters. I just like more words to get to know my characters. 8. What are your favorite books/authors? My favorite books are Icarus Hunt by Timothy Zahn, Foundation by Isaac Asimov, April in Paris by Michael Wallner, Something From the Nightside by Simon R. Green. The list goes on! 9. What books are you reading right now? Currently, I am reading Another by Yukito Ayatsuji and The Girl Who Circumnavigated Fairyland in a Ship of Her Own Making by Catherynne M. Valente. 10. Are there any emerging authors that you’re excited about? I loved Alice in Zombieland by Gena Showalter and hope she writes more young adult fiction, but also my friends in my writing group I hope have great luck with their novels since they are all very talented! 11. Do you have a work-in-progress you’d like to tell us about? I have way too many WIP to talk about, but I would like to mention two in particular. I have a novel called The Quest that I currently seeking publication for. It is about a girl who is ripped away from her family and becomes the Emperor’s Shadow, a deadly assassin. She follows all of his orders until one day she runs into her long lost brother. He wants her to help him find the lost planet of Sanshli where he believes they would be able to destroy the Empire and bring the Second Republic back into existence. Her loyalty is to the Emperor, but the more she finds about Sanshli and her past, the more she begins to wonder what she is doing is right. The other project I want to mention is about a comic called Hel’s Labyrinth I am working on with a friend of mine. It is about a girl who is swept into a deadly circus labyrinth that is controlled by Hel herself as she tries to start Ragnarok. She must defeat the different the different levels of the labyrinth in order to stop Ragnarok in time. We are hoping to get the first one out this summer, so if you are interested, please follow me on Facebook or Twitter as we will have a Kickstarter for this project soon! I am an author, blogger, photographer, artist, traveler, and lover of learning new things. If I am not working on a project or homework, I am probably reading a history book, studying the German language, or finding a new recipe to try at home. My interests include European history, astronomy, environmental advocacy, human osteology, urban planning, and DIY projects. 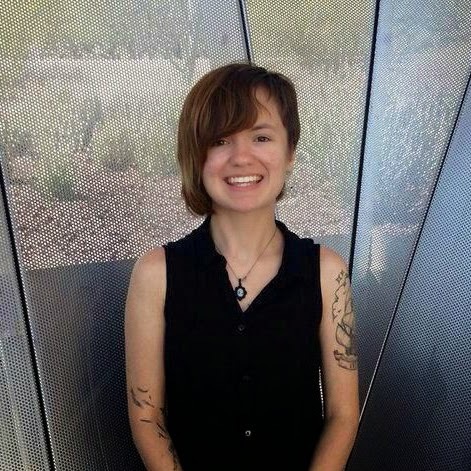 Currently, I am pursuing my masters in urban and environmental planning student at Arizona State University and planning to move to Seattle to work in the environmental advocacy field and to write fiction. I live with my amazing husband and two rowdy kitties. Good news to everyone, my name is Meg Valery, from Australia, this how i become a vampire, i always have pains in me and sick all the time, i came across a friend who introduce me on how to become one of them, when she gave me this email address, i contacted them, ever since now my life is full of joy, i don't longer have pains in me again, I have lived for 210 years now, i become a vampire when ever i feel like, am advising you today if you want to live long in this life, any body who have interest to become a vampire should contact this email, vampirestemple.com@gmail.com, is real because am one of them. vampirestemple.com@gmail.com.